Lucid Travel is looking for a convertible note of no more than $50,000 to help us with cash flow and growth stability this year. Contact info@lucidtravel.us if you’d like to discuss opportunities. Twenty startups were chosen out of a pool of applicants to attend the conference and Lucid Travel was one of them. The conference began with all of the chosen startups in a room where they could mingle with conference attendees. Afterward, there was a panel of successful entrepreneurs talking about how they gained funding and grew their businesses in Charlotte. A happy hour concluded the event that night. Conversation at the conference was inquisitive and direct. We met briefly with investors, recruiters, and vendors. Lucid Travel got a good look into all the components of the startup ecosystem and was pleased to see large companies participating in sponsorship and support. We received a lot of great feedback from people about our business model. They were very impressed by our traction in the first year and couldn’t believe we reached this level of growth without traditional funding. This affects growing tech companies, like us. In the future, we’ll need to hire experienced specialists who can handle the many demands of software development and automation. Lucid Travel sees the importance of diversity less in terms of appearance, and more in terms of diversity of thought but people from diverse/minority cultures do bring the diversity of thought required for innovation and growth. Overall, the convention was a success. We collected over forty business cards, met four potential investors, and several well-versed entrepreneurs and founders. 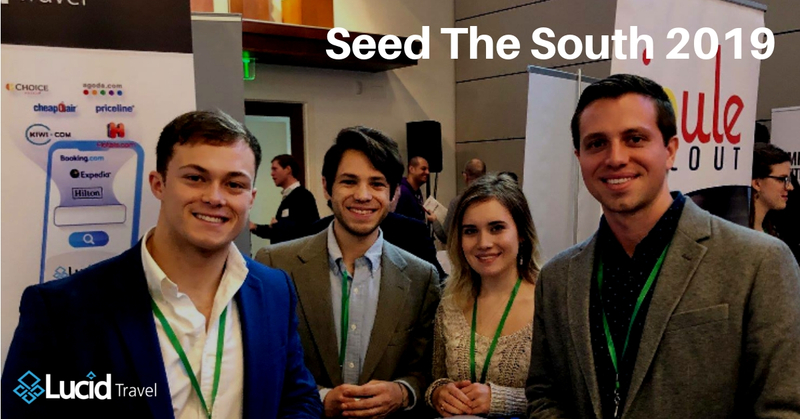 We’re excited to connect with our new contacts, especially those who are founders. The conference was also a great way for Lucid Travel to take notice of the hard work that’s been done. Many people were impressed by our growth which we attribute to our heavy focus on sales and better serving customers. We hope to be a reminder that you can grow a business quickly without taking on outside capital.